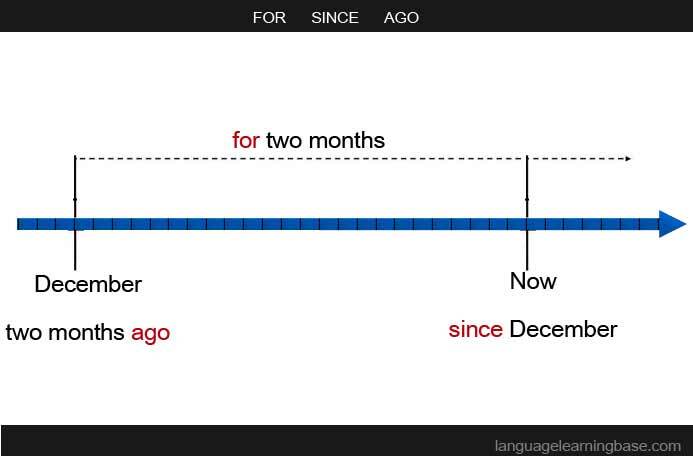 For is used to indicate a period of time. - ​It rained for three days. - I studied English for six years. Since is used to refer to the starting point of actions or situations. - They have been married since 2005. - It has not rained since Monday. Ago is used to say when past events happened, going back from today towards the past. - I bought a bicycle four days ago. - The company was founded 30 years ago.